Histoire Naturelle - Fish - Plate 20 - Sea Bass ~ The top illustration is Epinephelus Tauvina, a sea bass from the Red Sea. 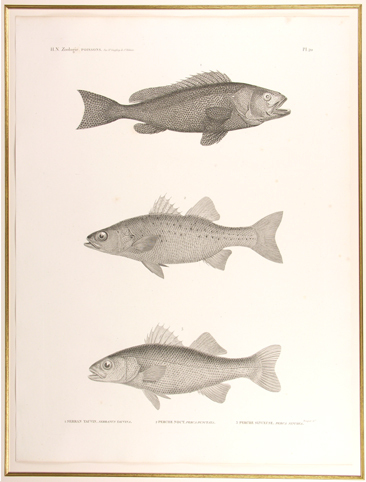 The center illustration is Sciaena Punctata another Red Sea bass. The bottom illustration is Dicentrarchus Labrax, The Mediterranean Sea Bass.